Freedome is a VPN product made by the F-Secure company, which is based in Finland. F-Secure was born in 1988 and was named Data Fellows back then. For 30 years, the enterprise has been working to enhance people’s digital security in an increasingly difficult environment. F-Secure is a complete privacy and online security suite that offers, in addition to the VPN service, an anti-virus platform, a password manager, and other resources such as an online PC scanner, Router Checker, and AdBlocker. For now, we will focus on their VPN service, which is called, as you already know, Freedome. 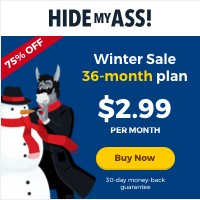 It doesn’t quite belong in the upper-tier of VPN brands, but it offers user-friendly clients, a free trial, a month-long money back guarantee, affordable prices, and a strict no log policy. It has several useful security features, like DNS leak protection, and customers can enjoy personal support. And while it has some minor drawbacks, we can say with confidence that Freedome VPN is a responsible, acceptable product that will work tirelessly to protect the privacy of their clients. There is no cryptocurrency payment option available, but users can use their credit cards (Visa, MasterCard, American Express, and Discover,) PayPal, PayNearMe, wire transfer, or check/money orders. A very important feature that most top VPN providers need to offer is the ability to let users test the services before asking them to commit to a long-term plan. Fortunately, Freedome offers that possibility, with a very useful five-day long free trial. The five-day free trial is especially attractive since it doesn’t ask your personal information or email address: to get started, you just need to download and run the app or client, read and accept the terms, and connect. Also, for those that need a longer look at the services, there is a 30-day-money-back guarantee available for all plans. They can test Freedome for up to a month, and if they are not satisfied with it, they can ask for a refund. 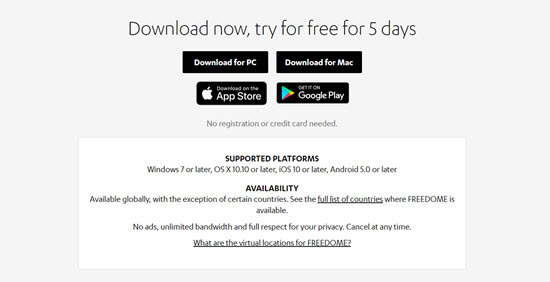 Freedome VPN is compatible with most major operating systems, including Windows, Mac, Android, and iOS. The apps and clients are very straightforward and easy to install and use, so the service earns extra points for its user-friendly interface. However, the website can be a little difficult to navigate, especially when it comes to finding the information you need at the right time. Design and attractiveness are not the problems, though. The setup and registration are also very straightforward. There is a “Download” link on the F-Secure Freedome page, and users just need to find their platform and get the file. After the five-day free trial has expired, then you need to provide all your personal data and information. Freedome may not have extraordinarily flashy features as some of the best VPN services in the field, but the truth is that it offers several exciting things. Besides the multi-platform compatibility, Freedome has Wi-Fi protection and unlimited bandwidth. There is no P2P activity allowed, however. Other features are tracking attempts block, browsing protection, and an interactive tracker mapper, which is the F-Secure Freedome Tracker Mapper. It also has DNS leak protection to prevent users from letting the whole Internet track them. However, one of the best features isn’t technically a feature: Freedome VPN is based in Finland, where there are no data retention laws forcing the brand to comply in case of an investigation or government pressure. The nation has very strict privacy protection laws. One indicator of how big and useful a VPN brand remains the server network available for users. After all, the more countries, the better, as they can use the servers to unblock sites and pages that would be unavailable without the VPN encryption. In the case of Freedome, that network is not incredibly big, but it is broad enough that most users won’t complain. There are 30 different server locations, including Hong Kong, Australia, and the United States of America. Speed tests show very favorable results that lead us to believe that Freedome VPN has good enough rates for the most relevant online activities that people want VPN services for browsing and streaming content. The performance was steady, and the speeds remained consistent. There are few DNS or IP leaks to speak of, which is why Freedome is gaining traction in the VPN market as a very solid alternative to the elite options. 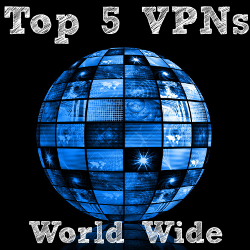 Most VPN services have very confusing, ambiguous privacy policies that befuddle and discourage customers. Happily, that is not the case with Freedome, as it has written its document in a very clear, concise way. They are up-front and say that “We do not share or sell any of your traffic”; “We do not read your traffic”; “We do not know what traffic is yours.” However, they explain what do they log: harmless logging data, specifically “the device ID and the public IP address from where the VPN client connects to our service”, and also the duration of a session and the amount of bandwidth used. They state that they keep those data bits in order to protect customers from fraudulent use), and they only keep the information for three months. As for encryption, Freedome uses AES 128-bit, SHA-1 data authentication, and 2048-bit RSA handshaking for Windows, Mac, and Android. For iOS, it uses AES-128 data encryption, SHA-1 data authentication, and AES-256 key exchange. The protocols available are OpenVPN for Windows, Android, and Mac, and IPSec for iOS. In the past, Freedome VPN used to put up a paywall (i.e. a premium plan requirement) to access live chat and phone support, but now, every subscriber can enjoy those features. 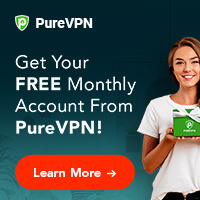 This VPN brand also has a blog and a community forum. There are also service hours and phone numbers for certain nations, in case you need immediate assistance with an issue related to the Freedome service.